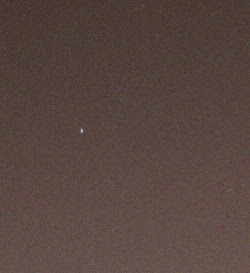 Earth as seen from Mars taken by the Spirit rovers’ panoramic camera in 2004. 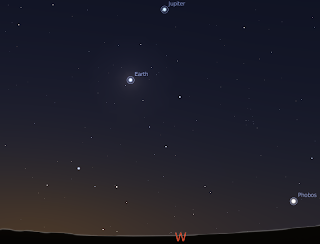 The evening sky on Mars on April 29, 2005 as simulated by Stellarium (the location isn’t at the same latitude and longitude as opportunity, so the view is slightly different from the rover). 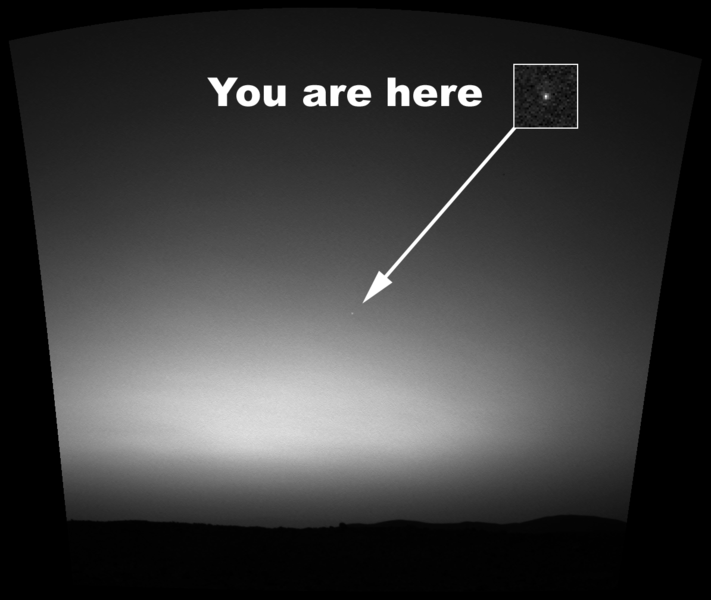 During the period that the Mars rovers took images of the Earth, at maximum elongation Earth was 42-47 degrees from the Sun as seen from Mars. For the Earth to move from maximum elongation to inferior or superior conjunction (at least, as it would appear from Mars, because in the Tychonian system Earth can’t have conjunctions) takes 6 hours (in a 24 hour day there will be four 6 hour segments as the Earth goes out, comes back, goes out and comes back again from the solar disk). So the Earth will appear to move 42 degrees (taking the lowest figure) in 6 hours, or 7 degrees per hour against the background stars (approximately, it’s slightly more complicated than this, but rough figures are all we need). That’s 14 Lunar diameters per hour! Earth is fairly hooting along compared to the background stars. In one minute Earth would move 1/4 of a Lunar diameter which is quite noticeable. Now look at the image above. 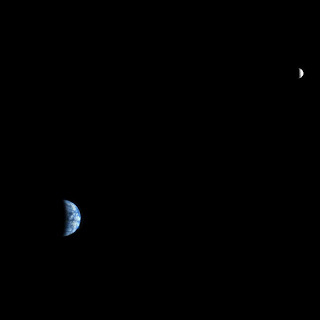 It is a composite of 3 x 15 second images taken with the panoramic camera, you can see the image of Earth is slightly elongated. 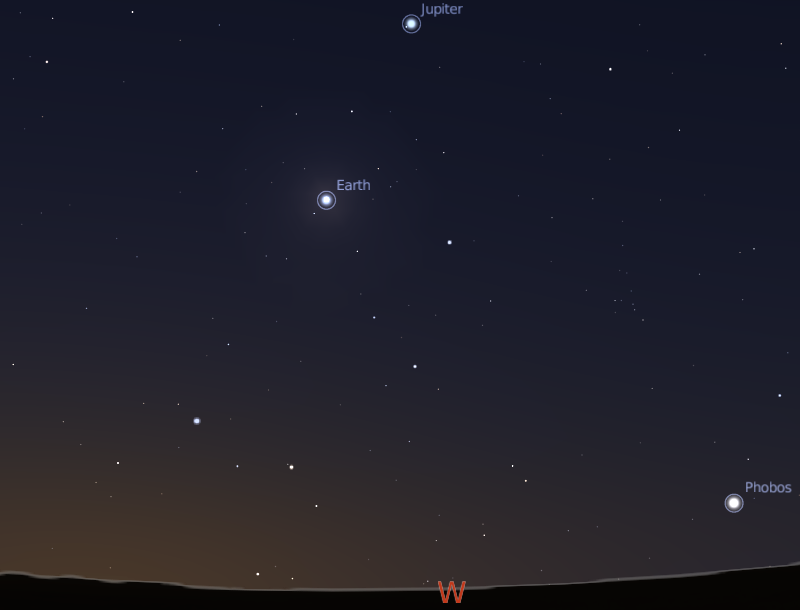 However, remember that Mars rotates, and any 15 second exposure will cause slight star trailing due to its rotation. 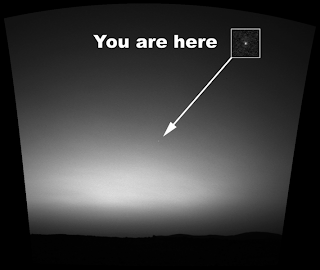 The trail we see of Earth is nothing like what we would expect if it was moving to a 24 hour rhythm, as it hares along the sky (roughly 1/5th of a Lunar diameter). 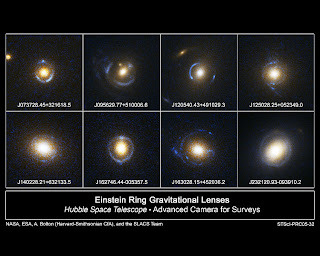 Still, for confirmation we have to check Earth’s movement against that of the background stars. 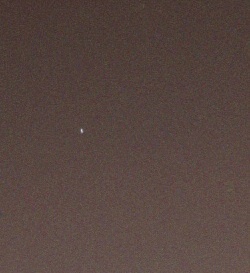 Fortunately, in the original image there is a background star just above Earth (it’s best seen in the TIF file). It has the same degree of elongation that the Earth does. This falsifies the Tychonian system, thus the solar system is heliocentric. So “Eppur si muove” because it um, doesn’t move (with respect to the background stars as seen from Mars). 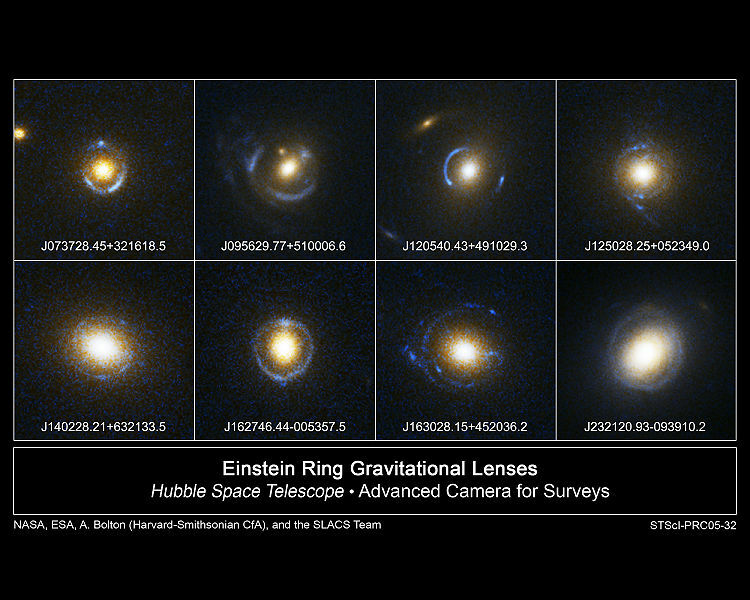 Image credit; Topper, D. Galileo, Sunspots, and the Motions of the Earth: Redux Isis, Vol. 90, No. 4 (Dec., 1999), pp. 757-767 Illustration of the annual variation in the paths sunspots take across the sun, and the heliocentric projection which explains it. The account of sunspot movement that Galileo provides in the Third Day of the Dialogue is easily explained with reference to Figure 1. Let continuous line MN represent the plane of the ecliptic, while EFG, FGH, GHE, and HEF represent projected paths for the sunspots at tri- monthly intervals A, B, C, and D-that is, in one annual circuit along the ecliptic. Viewed at position A, therefore, the sunspots appear to ascend in a straight line from E toward G. At B they seem to describe an upward curve from F through G toward H, whereas at C they appear to descend along a rectilinear path from G toward E. Finally, at D they seem to follow a downward curve from H through E toward F.